2016 is set to be a defining year for mobile payment providers. It looks as though Apple Pay is planning a major European launch in 2016; an event which could turn the fragmented mobile payment world upside down. While setting up a unified payment system overnight would be virtually impossible, Apple Pay will endeavour to push this forward, especially as its competitor, Google is also pushing for the first place in the mobile payment space. In 2016, we will also see mobile payments become less smartphone-dependent. Instead, new technologies including smartwatches, bracelets and even rings will give us the ability to provide payment options. When it comes to authenticating payment processes, there are several new inventions in the pipeline for 2016. The most recently used methods include password, PIN, and fingerprint, and these all have one thing in common; they are weak so two-factor authentication is increasingly used to improve security. User-friendly methods—including, for example, new biometric processes like voice recognition, keystroke detection, finger vein scanners and pulse recognition — are set to become increasingly significant and set to increase both security and convenience. The proposed revision defines several priorities, one of which involves strengthening the security requirements for online payments by improving customer authentication in order to combat fraud. PSD2 will also provide a legal framework to stimulate competition. This framework will facilitate market entry for new providers and allow the development of innovative mobile and Internet payment methods. It will also force banks to grant such providers access to their crown jewels: the accounts. The European Banking Authority (EBA) is set to develop more detailed guidelines and regulatory standards for applying the directive. Although enshrining these in national legislation in all EU countries will take a further two years, payment industries should begin preparing themselves now for implementation and start taking steps by 2016. The decline in cashless payments, however, is currently more of a theory among economists. 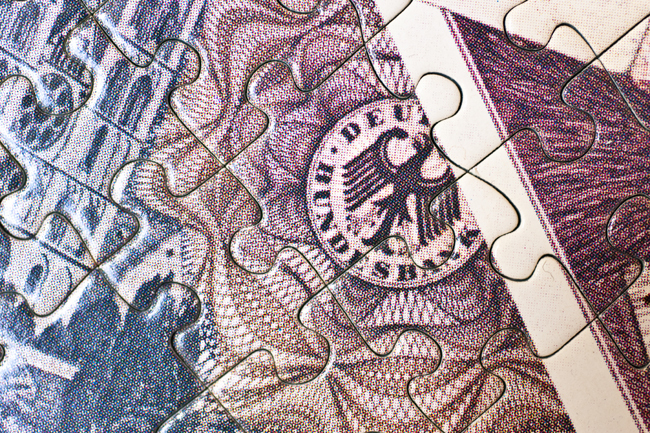 In Germany, for example, around 80 per cent of retail sales are still transacted in cash. If, however, we look at sales revenue, cash makes up just 53.3 per cent, a figure set to drop further in 2016. Cash is on the retreat, and alternative payment methods are advancing. Among the multitude of technologies (like cards, apps, wearables) available today, cash is, however, still very high on the list. It’s an essential element in the mix and fears that cash is dying out any time soon are therefore (as yet) unfounded.